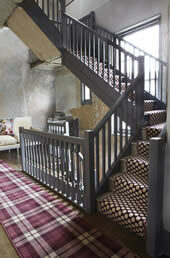 North Wilshire Carpets is one of the largest independent carpet retailers and Amtico stockists in Leicestershire. We supply a vast range of beautiful and practical carpets, rugs and vinyl flooring in a huge variety of colours, textures and patterns. Established in 1964, we’re a family-run business based in Hinckley, and we supply flooring for every taste and budget. Our knowledgeable, highly experienced staff will always make sure the carpet or flooring you choose is suitable for the purpose it’s intended and your lifestyle. This personal service ensures you leave our showroom with the right flooring for your home or office. No ‘hard sell’ in fact, we won’t encourage you to buy straight away. Take our carpet samples away with you and match to your walls and furnishings. Why not let us take the headache out of your house move? Just give us your samples we will be happy to help and match these to our flooring range, ask in store or contact us today. call us on 01455 637348 or contact us today. © North Wiltshire Carpets Limited 2015, all rights reserved.